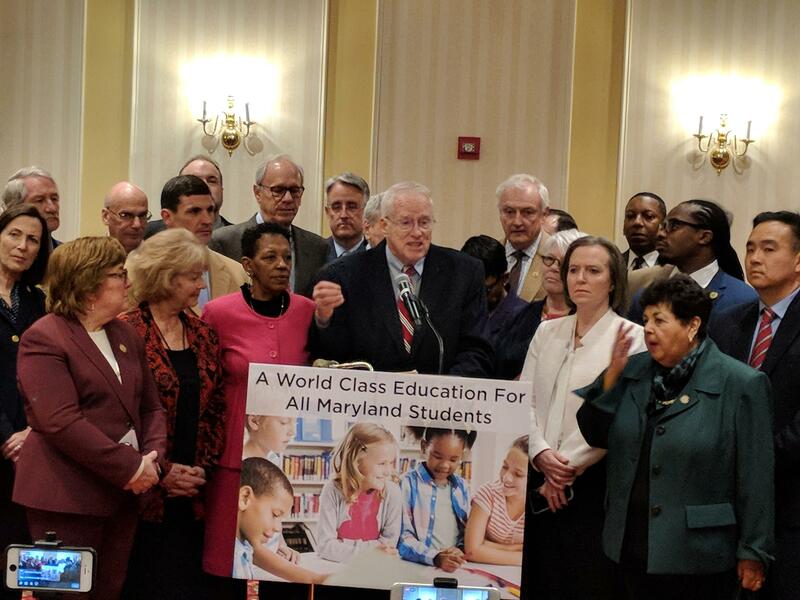 Surrounded by Democratic legislators, former University System of Maryland Chancellor William "Brit" Kirwan announces proposed education reforms at a press conference Thursday. 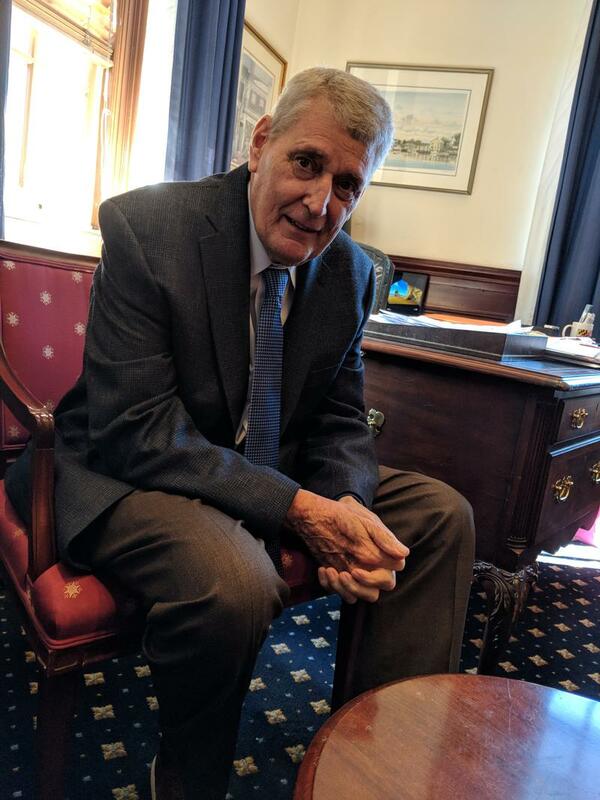 Among other things, the legislation includes funding for after school and summer school programs; literacy programs at high-poverty schools; teacher recruitment efforts; and expanded public prekindergarten. 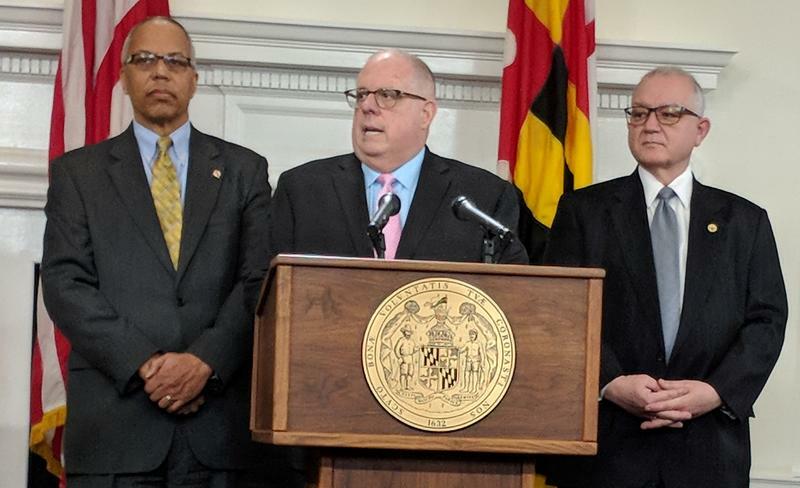 These initiatives are the precursor to the commission’s loftier goal: remaking Maryland’s school-funding formula. Those recommendations are expected by the end of the year.